I will start with the most important. Many thanks to the purchasers of Alone 1 for demonstrating their trust in me. I did not expect there to be so many of you would order the second part of the film so quickly. The first order was placed just 4 minutes after pre-ordering started! That is not even enough time to read the information about the premiere and watch the trailer! Thanks also to those who, having not seen the first part of the film and wanting to purchase the second, had to buy both at once for their confidence. For most of you, this might seem strange. These rules, however, were established from the very beginning. They shall remain unchanged also after my return from Fukushima Dai-ichi. The film will exclusively for true enthusiasts in the topic. The number of orders exceeded my expectations. As a thank-you for so much interest, I have prepared a little surprise. All purchasers shall receive the film in an elegant, two-disc package. And the discs, despite their personalisation and each being individually recorded, shall receive a professionally coloured printed design (except HD on DVD version). People who purchased the single disc shall also receive the two-disc packaging. 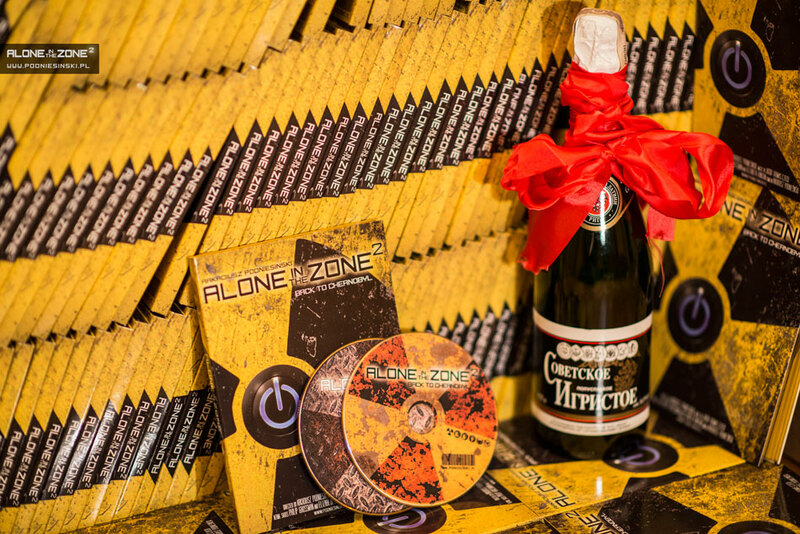 Due to this, they will be able to also put the Alone 1 disc into the box, creating a unique, two-part collection. And now onto the point. Since the premiere, I have received many questions about where the idea for the film came from. To answer this, I need to go back to the days when I was just a kid. It was then that I encountered the disaster for the first time. Despite the passing of 25 years since the disaster in Chernobyl, I still remember the events surrounding it perfectly. I was 14 years old at the time when lessons were suddenly interrupted and we were brought into the hallway. There we found dozens of evenly arranged brown bottles full of an unknown liquid already waiting for us. It tasted terrible. Only later did I find out that they gave us a liquid iodine solution which was to prevent the absorption of radioactive iodine isotopes. Since those events my ties with the disaster still remain close and unbreakable. The initial actions of the Soviet government at the time, dependant on limiting access to information, falsifying the actual levels of contamination and disregarding the threat, led to the situation that to this day scientists do not agree on the actual extent and effects of the disaster. For this reason, the reliability of the majority of scientific reports that arose later is difficult to verify and evaluate, especially since many of them were prepared or financed by organizations promoting nuclear energy. The films shown which tried to explain the causes and results of the disaster or search for the guilty parties also did not bring clear-cut answers and most often presented the subjective opinion of the author or the organization financing the production. The difficulty in achieving precise and credible data and the lack of objectivity led me to attempt to tackle the problem of looking for causes, effects and guilty parties of the disaster in a completely different way. I decided that the viewers themselves, who I would bring to the centre of these events, would decide for themselves. I will show the current state of the zone, enable access to closed places and structures and interviews with residents. I will be a transparent mediator between the zone and the viewer. Without projecting any opinion or drawing conclusions. All of that must be the task for the viewers. I also wanted to get young viewers who don’t remember these events, and whose knowledge is completely based on games interested in the disaster. The most popular of these, Call of Duty and STALKER, take place around Chernobyl and make use of the first person perspective technique. In using this technique in documentary film for the first time and deciding to mount the camera on my helmet, I wanted to achieve a similar effect in which the player/viewer sees the world of the game/film from the first person perspective, that is, through the eyes of the hero. Thanks to this solution, the realism and dramatic tension of the film are increased and the viewers gain the impression of finding themselves at the centre of the action and places thus far known only from games. And through this they will have the chance to learn more about the disaster itself. I have long shied away from filming the second part of the film. I thought that I had already seen too much, that it would be difficult to find something new and, at the same time, interesting. I was incorrect. The breakthrough came when I was finally able to get to the control room of block 4 of the nuclear power plant. A place I had been trying to go for as long as I can remember. I achieved a partial success in 2010, when I was able to enter control block 2. Shortly after my return home, I decided to try again, with an emphasis on obtaining permission to visit block 4. Applications, faxes and phone calls. The whole bureaucracy. I was not sure of the effect of my efforts until the very end. The first talks began three months before my planned arrival and took place during the time when I had already gone to the zone. Upon arrival, it turned out that, yes, permission to enter the plant had been granted, but again only to block 2. And again there were phone calls, explaining that we already had a permit from the head of that zone. I learnt that it had finally worked out when I already was at the plant. The visit in block 4 was a turning point. Without it, the second part of the film probably would not have come into being. From that moment, I had a reason to start working on the second part of the film. It would have been a pity not to show this place to others. Then, collecting the remaining materials, finding and visiting the next interesting places took me the next year. From the very beginning, I wondered if there were any weaknesses in the first film that should be paid attention to when working on the second. The first thing that occurred to me was to listen to the suggestions of people who had seen the first part of the film. Most pointed out my involuntary assents as well as nodding my head – which are normal during normal discussions, but look less professional in a film. That is why in the second part of the film, all of the interviews were recorded using a larger, more professional camera instead of one mounted on a helmet. The second issue that was pointed out to me were the regular plastic packaging for the discs. The limited budget for the film forced us to find savings. For the cost of printing such a small number of packaging would have been very high. Luckily, the problem solved itself, as the large number of orders allowed for the printing of elegant digi-packs and printed images on the discs. The third and final issue were the subtitles to the film. Some of you complained about the lack of audio tracks with my commentary and the need to read subtitles. I was thinking about this one the longest, as adding my own commentary would mean that the music would have to be turned down. And the music is one of the film’s greatest strengths. It ideally builds the tension and atmosphere of the places being visited. That is why before making a final decision, I made a trial recording. The music was the winner. In a moment, you will be able to see for yourselves. Can you imagine what the end result will be when you also see the image? The most difficult and riskiest task during the filming of Alone 2 was climbing the cooling tower. It was much more dangerous than climbing the over-the-horizon radar or anything else. This was mainly due to the instability of the construction on the top of the cooling tower. The majority of the steel beam fittings were rusted and all of the wooden planks rusted. It could have collapsed under my weight at any time. In order to ensure safety, climbing equipment was used. This equipment came in handy, as you will see in the film. During the climb, we used a drone, whose task was to film the moment when the nuclear power plant emerges from behind the tower I was standing on. 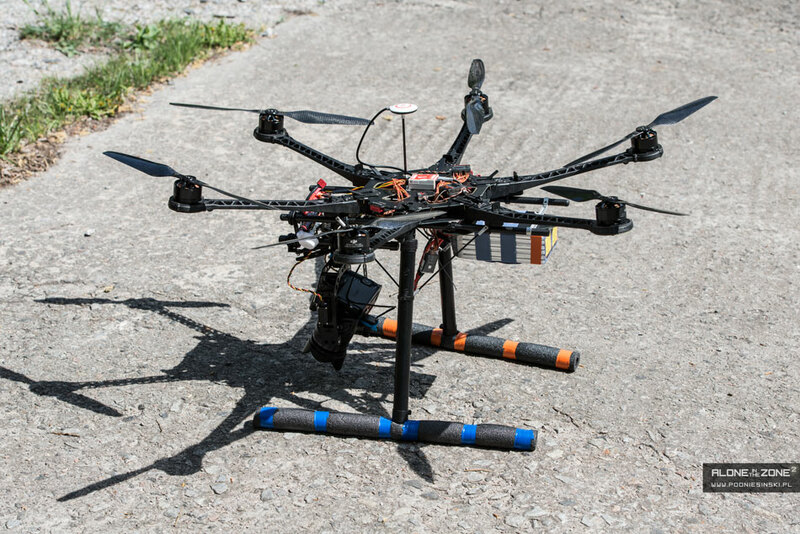 The flight had to be repeated several times due to the strong winds that made it difficult to perform stable shots. Fragments of this flight were also used in the production of the film’s trailer. Later, you can see the behind-the-scenes creation of these takes, and the entire emotional ascent up the cooling tower can be seen in Alone 2. In the film, nearly 30 locations are featured. All new. If I return to a place where I’ve already been, it is only in order to see or do something completely new. For instance, I return to the nuclear power plant, but this time I visit control block 4, where an unsuccessful experiment led to the nuclear disaster. Chernobyl-2 is similar. I return not only to climb up the antenna (this time lower), but mainly to investigate the military buildings in which the system for early warning against a nuclear attack was controlled. Control room of the block no. 4 – the epicentre of the events of April 1986. Abandoned church – religious traces of the zone’s former inhabitants. The northern part of Pirpyat – the best-preserved part of the city. Vehicle storage yard in Rosoche – the last shots before the place’s total shutdown. Climbs – the cooling tower, DUGA and one surprise. Children’s camp near Pripyat – dozens of hand-painted cottages with scenes from fairy tales. Drone flight over Pripyat – shots which cannot be seen anywhere else. Red Forest – looking for fuel from reactor 4. Vehicle storage yard in Buryakovka – 500 destroyed vehicles and the buried treasure of Pripyat. 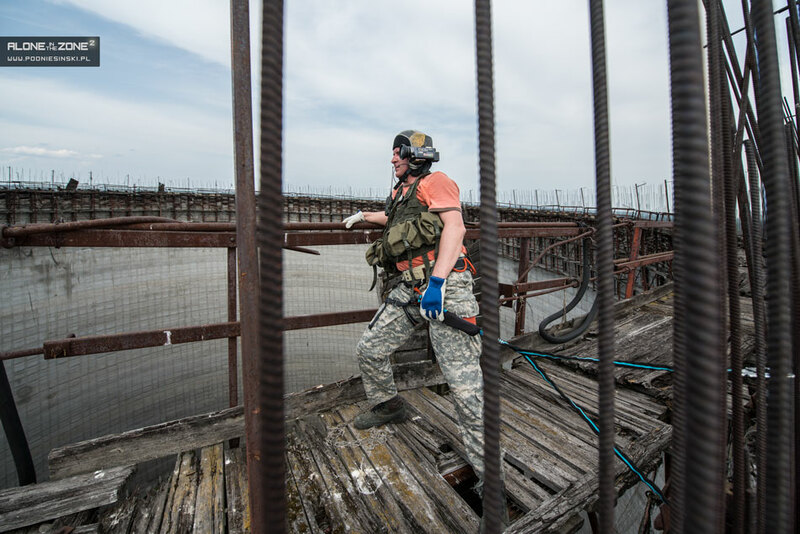 Interview with Sava Havrylovich and Elena Dorofievna Obraza – the last inhabitants of the part of zone 1 located closest to the nuclear power plant. Basement of the Jupiter factory – looking for and analysing radioactive substances. Abandoned barge landfill in Chernobyl – the last moment before the barges completely disappear. Night in Pirpyat – the only chance to see Pripyat at night and, at the same time, go into several cellars. Winter in the zone – fighting snow with the car, climbing the highest lift in the zone. Interview with a worker at the Buriakivka storage yard. Flight of an Mi-2 helicopter over the zone – an unusual, bird’s eye view of the zone. There won’t be a third part of Alone in the Zone in the Chernobyl zone. Despite the fact that there are several more places to visit. I will also try to return to the nuclear power plant, which is interesting, and I could spend up to a month there. Of course, I will have a camera with me the whole time. And if I record something, I will share it with the owners of the Alone in the Zone series. For free. So you will always have complete and up-to-date materials from the zone. If everything goes well, the third part of Alone in the Zone will be in Japan. I have already contacted the right people, who have promised to help me. What will result from this will appear in the spring, when I plan to visit Japan for the first time. And so, see you in Fukashima. As I mentioned earlier, anyone who wants to meet me there must own the earlier parts of the film.If you do not have them, I’d like to remind you that the pre-sale is coming to an end. It will end at midnight on 6-7 December. It will be the last moment to order the film at the promotional price and receive it before Christmas. For information on how to do this, click the banner below.